Digital Art is a foundation of our placemaking strategy for Leeds Dock as it had direct relevance to the digital media businesses on site and throughout the city, while providing engaging content for the families that visit the Dock for the Royal Armouries Museum. Continuing our relationship with Lumen Prize, 'the pre-eminent digital art prize' (The Guardian), we co-curated a second exhibition of interactive, immersive installations that blurred the lines of art, technology, sound and audience participation, bringing together 6 international artists as part of Leeds Dock's contribution to the inaugural city wide Leeds International Festival. The key piece of the exhibition was 'Hyper Planes of Fabio Giampietro, the winner of the Lumen Prize 2016 Gold Award, The House Of Peroni: Virtual Art Installation with Fabio Giampietro. Huge thanks to the Arts Council, SKY, Pop Art Media and House of Peroni for their support. 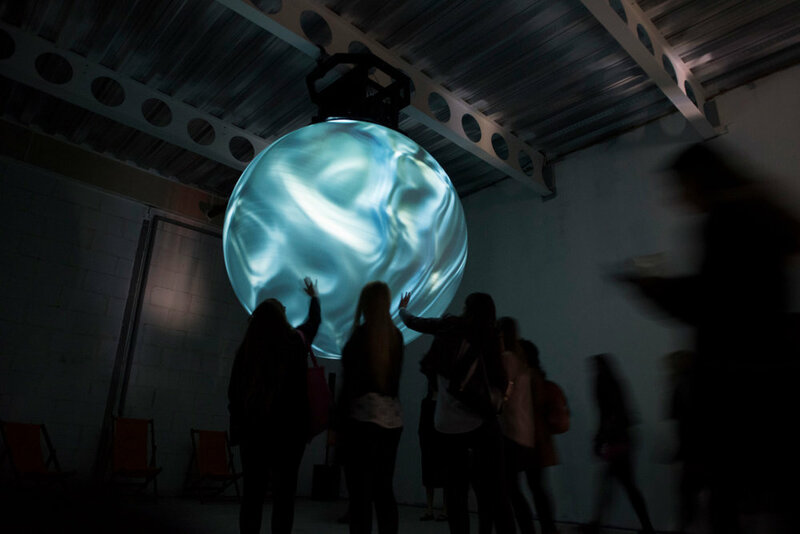 Watch the brilliant film by Sonder Studios capturing the activity we produced at Leeds Dock for the Leeds International Festival, including the Lumen Prize Exhibition. 'Anima' by Nick Verstand, (The Netherlands), in collaboration with Onformative, Pufferfis and, Pandelis Diamantides. Lumen Prize Shortlist 2016. 'O.T. 875' By Stefan Reiss (Germany). Lumen Prize 3D Sculpture Award 2016. Lumen Prize Gold Award 2016. The House Of Peroni: Virtual Art Installation with Fabio Giampietro. The House Of Peroni Bar at the Lumen Prize Exhibition. and David Li (U.K). Lumen Prize Mixed Reality Award 2016. 'Afterglow' By Bored Research (U.K). Lumen Prize Moving Image Award 2016. 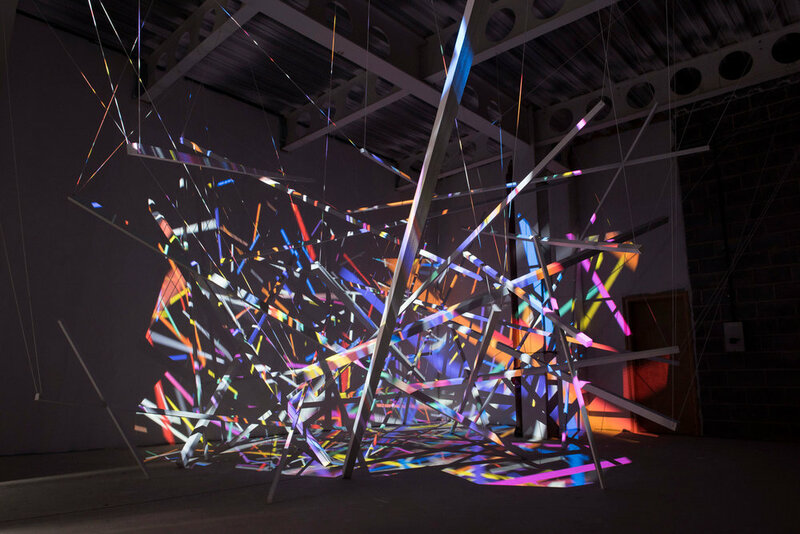 The Lumen Prize installations featured heavily in the Leeds International Festival 2017 summary video. 'Hyperplanes of Simultaneity' By Fabio Giampietro & Alessio De Vecchi (Italy). Lumen Prize Gold Award 2016. We worked with the brilliant Rabbit Hole Studio to create Leeds International Festival brand posters for the exhibition. We designed and produced all the exhibition and window graphics for the show and worked with the brilliant Rabbit Hole Studio to create Leeds International Festival brand posters for the exhibition. We arranged for Lumen Prize Showreel to be played in tenants receptions across Leeds Dock. Art Direction, Graphic Design and Production (flyers, posters, window vinyls, exhibition signage, social media assets). Social media content, campaign & PR strategy, video production.